In 2007, a Mexican pet store was on the brink of disaster. The owner had fallen behind on a loan and had taken out another loan to pay off the first. Now all of the store’s revenue was be-ing thrown at a growing mound of debt – and its eight employ-ees couldn’t be paid. The story is not unique. Small- to medium-sized enterprises frequently have trouble expanding past a certain size, particu-larly in developing economies like Mexico. 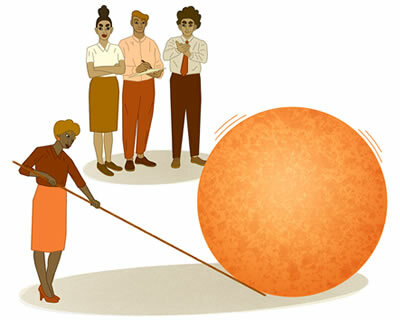 “There are all sorts of theories about why that is,” says Dean Karlan, a professor of finance at the Kellogg School, “and one of them is about managerial capital.” That is, business owners might lack the unique set of skills and business savvy, such as managing people or creating a business plan, required to help their companies reach the next level. Could tailored advice from an experienced consultant make up for gaps in managerial know-how? And would filling those gaps help companies overcome hurdles and keep growing? In 2008, the state of Puebla’s Ministry of Labor decided to offer highly subsidized consulting services. And critically, they want-ed to to learn whether such consulting actually worked. Theyreached out to Karlan and economists Miriam Bruhn of the World Bank and Antoinette Schoar of MIT, as well as In-novations for Poverty Action (a nonprofit organization founded by Karlan), to help evaluate the consultants’ efforts. Eighty randomly selected firms ended up with consultants. The consultants con-ducted a daylong diagnostic session with each firm and then designed a consulting routine for the next year. Meanwhile, a control group of 282 companies continued operating as usual, without expert advice. A year later, the researchers found, the firms that were offered consultants saw both their productivity and their return on assets increase relative to the control group. Then, using data from Mexico’s social se-curity agency, the researchers tracked the companies for another five years – long after the consulting services had ended – to see what happened to payrolls. They found that the average firm that had received consulting grew its staff by 57 percent over that period, while the av-erage firm in the control group remained roughly the same size. Furthermore, total wages paid by firms that had had con-sultants increased 72 percent, indicating that they were increasing employees’ pay over that period as well. As for the strug-gling pet store, it saw profits increase a full 50 percent, despite starting on the brink of bankruptcy. The results were remarkable. But the re-searchers could not help but wonder: What, exactly, had the consultants changed? After the first year of the experiment, the researchers conducted a survey ask-ing firm owners what had made their consultant so valuable. The answers varied widely: some said the consul-tants improved their marketing or ac-counting, while others pointed to dif-ferent dimensions, such as pricing or human resources. The researchers also measured the own-ers’ “entrepreneurial spirit” and found that owners who had been randomly se-lected to receive subsidized consulting said they were more goal-oriented, more driven and more confident in their prob-lem-solving abilities than they had been before the consulting. While this is an intriguing result, it is complicated to interpret, Karlan explains. It is possible that the consultants provid-ed the firm owners with new skills and in-formation, which they used to grow their companies, just as the Ministry of Labor had intended. And then that newfound growth gave them higher levels of entre-preneurial spirit. Alternatively, maybe the consultants imbued the owners with a newfound confidence, which empow-ered them to make the tough, risky deci-sions they knew would benefit the firm. 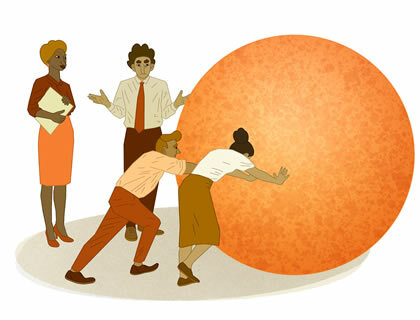 One of the main questions Karlan felt re-mained unanswered: If the consultants were so good at helping other business-es grow, why weren’t the consultants’ own businesses growing with leaps and bounds? This is an area Karlan is keen to pursue: Are there contracting challenges, trust problems, information problems, li-quidity problems? What is holding back the market for these consultants?